Intrecciato leather is Bottega Veneta's signature style when it comes to bags. Intrecciato is the style in which the leather is woven. 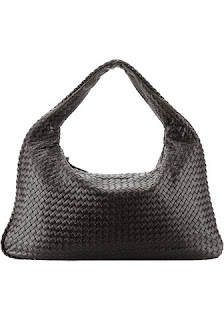 Bottega Veneta bags use the highest quality buttery soft leather. One thing that sets these bags out from other designer bags is the lack of logos. So if you are a fashionista looking for high quality but don't want a brand name splashed all over your bag, this is most likely the bag for you. 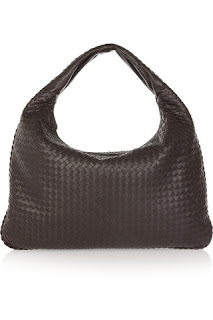 The Bottega Veneta Maxi Veneta intrecciato leather shoulder bag costs €2095 and is available from net-a-porter.com. Dozens of celebrities own this bag including Reese Witherspoon and Sarah Jessica Parker. Somehow I can't see myself dropping that much on a bag in the future. The bag below is from baginc.com and is almost identical. The only two differences are the price and the fact that the La Scalla bag is faux leather. The La Scalla bag costs €45.